If you have been following me for a while, you should know that I am not one of those bloggers who talk about how to make money blogging, I also don’t talk about my blogging earnings. Don’t get me wrong, I am not against publishing income reports, I am just not a big fan of income reports. I know this post will gain a bit of traction and buzz around the blogosphere, not just because money is involved and I am sharing my how to make money secret, but rather because “90% of bloggers makes less that $100 USD per month”. Whether we admit it or not, a lot of bloggers are suffering, and a bunch of them are running their blog at loss. 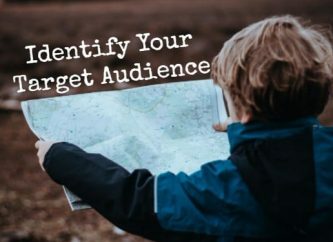 I know quite a number of bloggers in this category, and when they all approached me; I tried my best to help them by sharing few of my monetization strategies with them. I know quite a number of bloggers in this category, and when they all approached me; I tried my best to help them by sharing few of my monetization strategies with them. P.S. – I know that 90% of bloggers reading this post are making less than $100, so I want you to know that I am not selling you anything is this blog post, rather I am here to help you out. I will advise you to read every single line of this blog post, don’t skip a line and do not attempt to leave this page in a hurry. I know you will be tempted to click some external links and you will be tempted to run over to the platform that I will be introducing to you shortly, but be WARNED! If you don’t finish reading this guide before navigating away, the end result may be disastrous! Why Am I calling my blog an almost Dead Blog? I didn’t make that up, actually, my Tech Blog was an almost dead blog at the time it started pumping money into my pocket. I had abandoned the blog and my other projects when I started building this blog (BTT). I started Blogging Tips Today January of 2013, that’s just over a year ago, and I was so much buried in it that I had forgotten that I had other blogs before it. Unfortunately, I couldn’t help it; my other blogs had to suffer! Around September last year, I was looking for a buyer for this particular Technology blog of mine, I was willing to sell it for anything above $150 USD and I was advertising it on Facebook and hoping someone will make an offer. I also had plans to list it on Flippa before the end of the year! Before that, let me tell you a short story about myself! 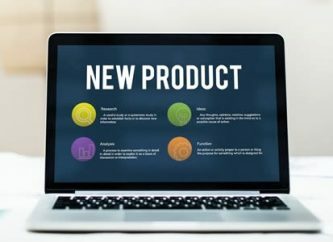 I am one of those bloggers that usually get to know about new products and services before they launch. This is not because I wander around the web or due to any special thing; it is just because I am subscribed to dozens of Top Bloggers, Internet marketers, and web developers’ mailing lists. These people usually send out the pre-launch newsletter to their subscribers before a new product or service is launched and so, this usually keep me informed of new happenings in the blogosphere; I usually know what is coming in few weeks before it actually comes 😉 . So, the platform that makes me $100+ every month is Post Joint (don’t click). I have heard about Post Joint right in its beta state, I was also there when it was launched but I never gave it a real trial! I used to have a kind of bad habit (which I regret), which is “not trying things out by me”. I love to wait for other bloggers to try things out, give their review & comments and I take their word for it! After post joint was launched, I registered an account, and then ran away! I looked around for a couple of reviews and comments about it, and I found some, but they were not encouraging, so as usual, I forgot about trying this platform out by myself. Don’t blame, I usually don’t have much time to spend on the internet, I have got school work, electricity problems and so on. So I make sure I eliminate every potential time wasting avenues. This is What really happened? Hmm…. I first saw Chitraparna Sinha of Social Vani status update on Facebook about how she made $1000 USD in a month. Hmmmmm… I was curious, but she promised us a blog post about this which she wrote and published. This post was published December 12th, 2013, so I started using this platform after December 12th, 2013. After I read Chitra’s success story of how she made $1000 in a month via Post Joint, I got motivated, (you know I told you I usually love reading other bloggers review before taking an action); I immediately remembered I used to have account there and so I went over to the site, tried logging in and alas, my account is still there! I started thinking of which blogs to submit, and I immediately remembered my half dead Tech Blog and BTT, so I submitted the 2 of them and I got approved within 2-3 days. I was very fortunate because my Tech Blog actually has a PR of 3 and this blog has a PR of 2 (it dropped from PR 3 – PR 2 in the last PR update due to my mistake). I knew before I can make a cent from this platform, I need to take some necessary and organized action, one of which is to study how this platform actually works! So, I took my time to stroll around the site, read their about page and FAQs page to learn more about the platform. You need to visit the site regularly and make your offer for paid post opportunities before other people do. If you are late, I am sorry; the opportunity will be far gone! What I did was just to apply simple common sense which worked well! I make sure I visited the platform early in the morning to check for opportunities before other competing bloggers wake up. I make sure I visit the opportunities section late in the night to check for offers when others are sleeping. I setup email alerts for available opportunities so that I will get notified when there are new opportunities for me to earn. My Strategy worked out well and I made $100+ in my first month of using Post Joint. Here is the result below! N.B. - Don’t rush over to register now, you will be needing the tips I will be sharing below. Believe me, if you rush away now, you may end up regretting it later. I recently introduced 2 guys to this platform, 1 got accepted and the other one got rejected! The sad thing is that once your blog is rejected, you have to wait for 3 months before you can reapply, which is a hell lot of time to me considering the cash you could have made! So take you time to finish reading this guide before you rush to Post Joint to start applying, else you may be rejected and be stranded for the next 3 months! How to Optimize Your Blog to Get more offers and WIN them! The major factor that determines the amount and quality of offers you get in your opportunities dashboard is your site keywords. 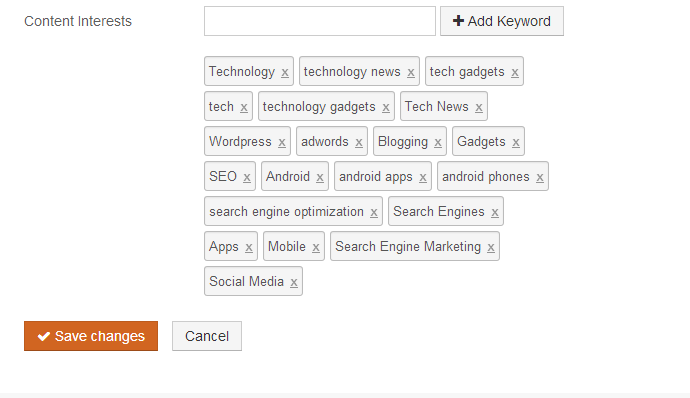 These are the target keywords you entered on the registration page when you were registering your blog. For you to be able to get the right opportunities, I will recommend you fill your content interest appropriately, use popular keywords in your niche in this field; your blog categories too should do well for your content interest. The post joint system is a first come first serve basis thing. When a new opportunity is posted, everybody has the opportunity to place their offer to publish the post on their blog but as soon as a post on offer gets 5 offers, the post will automatically disappear. This means that if you are slow to make an offer to publish a paid post opportunity, the opportunity will be gone as soon as 5 people make an offer for it. 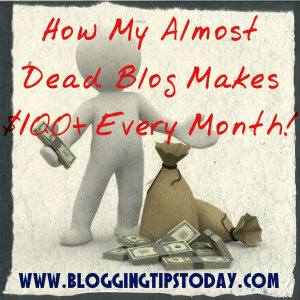 So be alert, and be quick to make offers for posts before 5 other bloggers beat you to it! So before you-all start rushing over to post joint, let me share with you some tips that will help improve your chances of getting your blog accepted. Good Blog Design – I will advise you to take a second look at your blog design before you apply for approval at Post Joint. I believe all submissions are manually approved, and I know that your blog design will surely play a role in the consideration procedure. If you need a good design, I recommend Genesis framework. Good Content – for you to get approved at post joint, I will recommend that you have quality contents on your blog. If you are a content scraper, I am sorry, you may not get approved (but you may still try your luck). The advertisers on this platform are looking forward to doing business with high-quality blogs and not spam blogs. Frequent Blog Updates – make sure you update your blog frequently before and after you submit your blog for review. Keep updating your blog will quality content till you get a response from them. Updating your blog regularly shows that your blog is alive. I hope these tips will help some bloggers to get their blog approved at Post Joint. If you have additional tips about getting approved, you can share them in the comments. Post Joint has worked pretty well for me and I believe it will work well for you, but if it doesn't, just move on (no hard feelings). 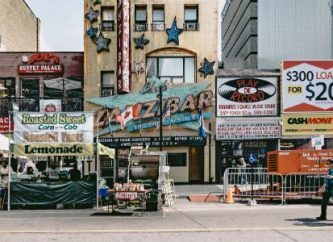 There are lots of ways to monetize a blog then you can ever imagine, the most important thing is to keep your eyes open to see the various opportunities that are flying around. I know of about 2 – 3 similar platforms to PostJoint, but I have not yet tried them out really well, so I will not be mentioning them for now or recommending them, but I will surely recommend any other platform when I achieve a $100+ earnings benchmark on such platform.